Lately, something has been annoying me a lot. When you hear kids talk about Disney, it’s probably about characters or productions that they like. With adults, it can be that, or it can be talking about how evil and greedy corporate Disney is, or what bad messages/role models they put in their stories. The latter category annoys me because I think art should be consumed and judged on its own merits, rather than as part of some huge conglomerate. It’s also a ridiculous notion to attack Disney or any company for trying to make money. That’s what they’re there for and, as such, this argument doesn’t make sense to me. As for bad role models, I think other studios do as bad or worse, and also that it’s not the media’s job to make role models and teach kids lessons. Every time Disney announces a new project, there are cries of protestation like, “They’re making this to sell more toys,” or that it exists to add to Disney’s ever-growing list of IPs. These statements are absolutely true, but they carry assumptions that aren’t quite right. Firstly, you must assume that doing things to make money is inherently bad. We’re all doing things for money, albeit on varying scales. J. K. Rowling writes books for money and people similarly criticize her for it. What’s she supposed to do? It’s her job. When you’re wealthy/successful, why does it suddenly become bad to work for a paycheck? Secondly, this argument doesn’t consider whether or not the final product is good enough to justify its existence as a so-called as “cash grab.” In a capitalist system, Disney is simply playing the game by supplying people with the kind of media they want to see anyway. And when they don’t, like in the cases of A Wrinkle in Time and The Nutcracker and the Four Realms, audiences respond by skipping the flicks altogether, causing them to bomb. That seems right to me: Disney can make whatever movies they want, and the audience’s interest determines whether it was a worthwhile investment. Every studio does it, but Disney takes a lot of flack for doing so. Some criticized Moana for playing into the traditional Disney Princess tropes and archetypes to enhance the film’s general appeal. To me, this indicates that the viewer either didn’t pay attention to the movie or already had their mind made up. Sure, Moana is a chief’s daughter and has animal companions. But her character stands on its own, and is wildly different from Cinderella or Snow White, for example. The film also exemplifies the idea that you are shaped by the people who came before you, and that your heritage is part of who you are as a person. I don’t really think you can say that about Pocahontas or, frankly, any other Disney movie. Rather than challenging tradition like Pocahontas or Merida, Moana rediscovers her people’s lost tradition and leads them back to it. She also does so because it’s what she wants and what’s best for her people, not because she fell in love or because an authority figure imposed the path on her. Personally, I like Disney Princesses and their movies for the most part, so the presence of an overbearing parental figure and grand musical numbers are just an added bonus to what’s a surprisingly thoughtful story and hero’s journey. I think it’s extremely unfair to reduce a film like this to its lowest common denominator of marketing and merchandising strategies. And, again, the general audience isn’t as stupid as these arguments imply; I fully believe that if Moana were a mediocre film created solely to earn money, it would have been another flop. The marketing and merchandising done by the Disney corporation are separate from the art and passion within the filmmakers at the animation studio itself. When it comes to people saying that Disney’s productions teach bad ideas or have bad role models, you really have to judge case-by-case. Hercules, for example, sends a very strange, muddled message. 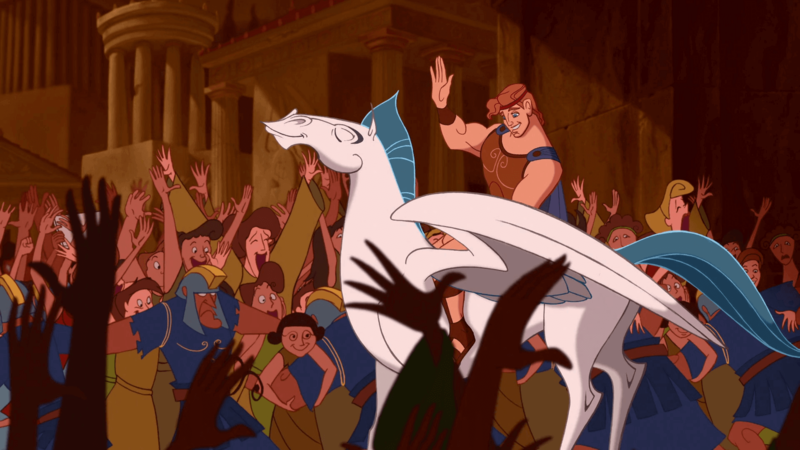 Hercules seeks to become a great hero, but it’s not just so he can be a good guy and help people. His ultimate goal is to become a god and rejoin his father on Mount Olympus. At one point he even mentions crowds cheering for him. That’s not a very heroic aspiration. He ultimately achieves his goal by saving his true love Meg, which makes no sense to me. Saving someone he knows personally and loves should be a given; wouldn’t a true hero instead prove himself by risking his life for a stranger, or even an enemy? Likewise, Frozen delivers some strange and myopic messages like “You can’t marry a man you just met” and telling Anna she should settle for a “fixer upper” like Kristoff because “people don’t really change.” Elsa also serves as a bad role model because she abandons her people and her responsibilities, nearly kills her sister twice, and only tries to remedy the situation after Anna and Kristoff travel the country cleaning up after her and begging for help. Even then, she can only control her powers because her sister’s sacrifice makes her realize love is the answer. That doesn’t even make sense. However, when people say that Disney teaches bad messages or idolizes bad role models, they more often gesture to the classic Princesses and refer to various real-world political movements. Snow White and the Seven Dwarfs was released in 1937, when gender roles were very different, as were a lot of things. Cinderella came out in 1950, and Sleeping Beauty came in 1959. Even with that being said, I’m not sure why it bothers people to see these characters performing tasks like cooking and cleaning. Snow White and Cinderella are two of the most hardworking princesses, and I feel that in this way they influenced modern Princess Tiana, who is unafraid of hard work and loves to cook. Snow White and Cinderella are kind, generous and perform these chores out of necessity. Snow White cleans and cooks in exchange for a place to stay with the Dwarfs; sure, to modern audiences, this may seem an antiquated arrangement, but it’s fair for her to provide some kind of service in exchange for room and board. Cinderella is treated like a slave by her stepfamily, but the notion that she has some choice in this or could do anything about it is ludicrous. At the time and place where Cinderella is set, there weren’t many jobs for women, and they were hardly preferable to what she does for her family. She’s also criticized for being saved by the Prince, despite the fact that the Prince isn’t even there when Cinderella escapes her stepmother. She also didn’t plan on falling in love; Cinderella wanted to go to the ball to have fun and take a break. She doesn’t even realize it’s the Prince she’s dancing with until after the fact. I also don’t understand using love as a weakness to criticize; after what this girl has been through, her huge capacity to love is amazing. No matter what her family does to her, Cinderella shows love and compassion not only to the Prince but also to her animals and everyone she meets. Aurora is asleep for a large chunk of her movie (which should be a given since she is Sleeping Beauty), meaning that her actions don’t drive the plot. However, saying that Philip is the story’s only hero shortchanges the three good fairies who help him and Aurora from the start. I don’t see how sexism or feminism plays into any of these stories, as they’re populated with lovable and admirable female characters. The presence of good men doesn’t negate this, and the fact that stories are told differently now than they were then doesn’t make one good and the other bad. Likewise, people who say Ariel wanted legs so she could be with a human man clearly didn’t pay attention to the sequence of events in the film. 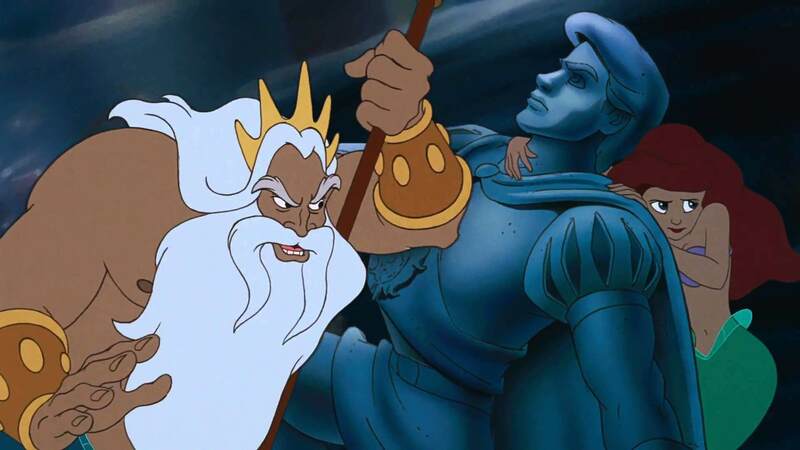 In The Little Mermaid, Ariel’s decision to become human is ultimately driven by her father invading her grotto and smashing everything she owns. Ariel was fascinated by humans from the film’s beginning, but her father’s recklessness and cruelty was the catalyst for her heartbreak and leaving. Criticism of these films on the grounds of feminism represents a misunderstanding of their intent and, frankly, an attempt to discredit the impact they’ve had on American pop culture. Disgusting. Aside from all of this, I don’t even think it’s Disney’s job to teach good morals or create righteous role models for kids anyway; if they do, then it’s a testament to them and to the art form, but this is the responsibility of parents and teachers. I also think it’s worth pointing out that it’s unfair to blame the creative team at Disney when one of their other properties, namely Star Wars, does poorly. Disney purchases companies like Pixar, Lucasfilm and Marvel and profits off of their products, but their creative input stops there. That’s why each studio’s films are so different: they’re made by different people with different mindsets. Blaming the conglomerate and Bob Iger for putting people like Kathleen Kennedy in charge is completely valid, but saying Star Wars has gotten bad because of some liberal bias within the creative heads at Walt Disney is not. The output from Disney, Pixar and Marvel has all been good and unlike anything Lucasfilm has been doing, so it’s unfair and stupid to equate the two. In short, each film should be judged on its own merits. This applies to whether it’s a “cash grab” or it’s perpetuating stereotypes or bad role models. Disney, as a company in the capitalist economy of America, is out for money. This is a given, and using it as an argument or criticism is moronic. The marketing and merchandising are done separately from the film’s production itself, and the creativity and love that goes into a movie shouldn’t be discounted because that marketing exists. I love Disney, but I can see bad things about the company, like when they tried to trademark the Day of the Dead holiday. I also dislike plenty of their films, and I don’t think we needed a remake of Beauty and the Beast. However, as someone who feels passionately about their movies, I find a lot of criticisms leveled at the studio and the corporation ridiculous and naïve.